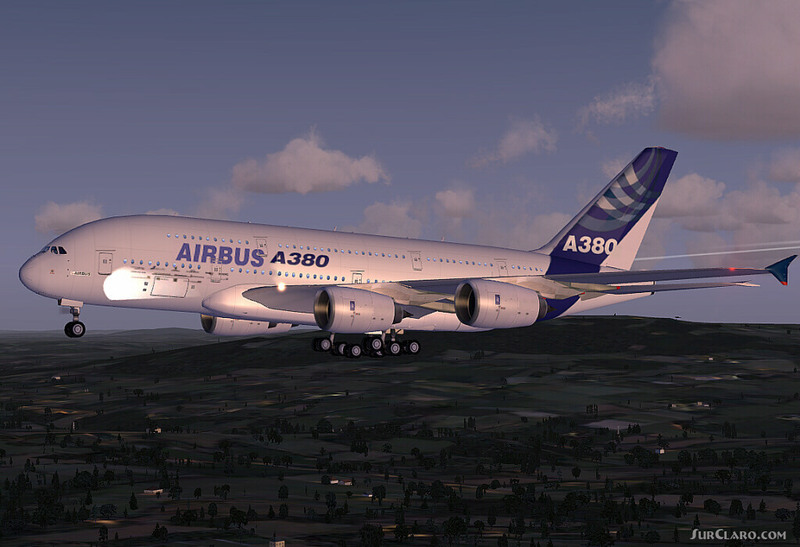 Airbus A380 version 2, Industrie House, for FSX, Demoversion with banners, new VOR gauge, with new PANEL and GAUGES, new external model, sound and virtuall cockpit. The Airbus A380 is a doubledecker, four-engined airliner manufactured by Airbus S. A. S. It first flew on April 27, 2005 from Toulouse, France. 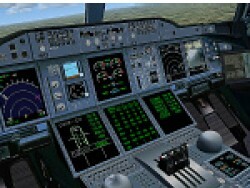 Commercial flights should begin in 2006 after 15 months of testing. During much of ist development, the aircraft was known as the Airbus A3XX. The A380 is now the largest passenger airliner, topping the Boeing 747, which was the largest for 35 years.. . Panel, GAUGES, model, sound and textures by www. afs-design. de Author: A. Meyer. 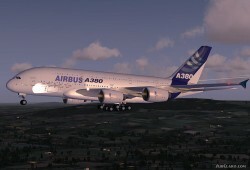 Airbus A380 version 2 Industrie House FSX Demoversion with. Rating: 2.00 of 10 over a total of 1 reviews.